Students have to match the 2 halves of a Conditional Sentence Type 2. The sentences are taken from famous songs. They must then try to match the sentence with the song. You can play the part of the songs if you like. The Key Answers are provided. 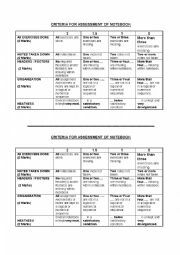 Useful rubrics for assessing your students�notebooks, especially ESO students in Spain. 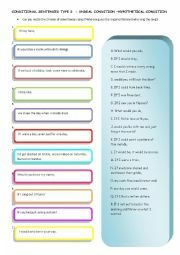 Sentences to be combined to form RELATIVE CLAUSES (Defining / Non- defining)CONNECTIVE WHICH - WHAT. 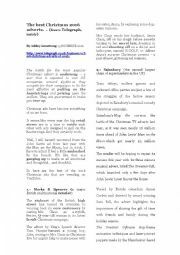 Most sentences have to do with current affairs we have dealt with, which will make the relative clauses more meaningful to them. 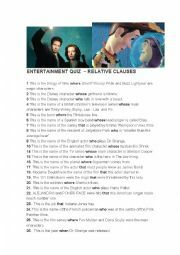 A quiz to be played in teams to present RELATIVE CLAUSES. The students can be given a time limit to answer the questions. 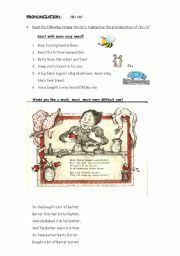 A reading activity based on the best christmas ads. First the students watch them and do the activities. 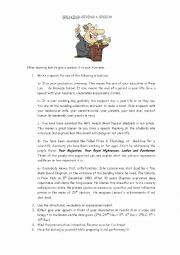 A speaking follow-up activity can be done as well. 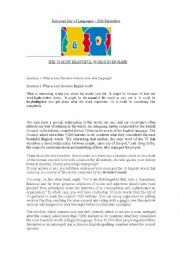 After studying examples of great speeches ( Malala�s speech in the UN, the final scene of The Great Dictator, Steve Jobs�speech at Stanford University)and learning the structure and vocabulary, the students are askeds to produce their own speech to improve their SPEAKING SKILLS. 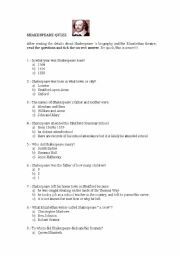 An activity to introduce graded readers about any of Shakespeare�s works. I prepared it for Two Shakespearian Tragedies: Macbeth and Othello published by Burlington. I used the film Shakespeare in Love to talk about Elizabethan theatre. I hope it will be useful for you. 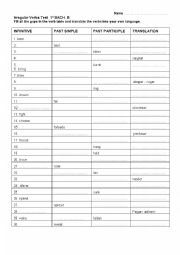 WOuld you like your students to have some fun with these tongue twisters practising the pronounciation of the sounds /b/ and /v/? 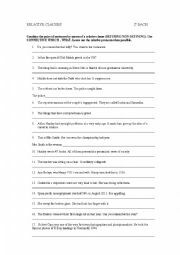 A test to assess irregular verbs. This is the first part of a Powerpoint about Oscar Wilde�s biography and work. It was divided in two parts as the whole presentation was too heavy. The students in the photos illustrating the Importance of Being Earnest are students from my school. This is Part 2 of a Powerpoint about Oscar Wilde. I had problems uploading the whole Powerpoint because it was too heavy.